Yes, I know I am a month behind. I'm working on catching up, and I'm working on the explanations and summaries of why I am a month behind. Oh, just a few stories to tell. But here is my first 'catch up' post. I’ve had this book on my shelf for years, and I’ve had the DVD on my shelf for about as many years. Overall, the story is very good. 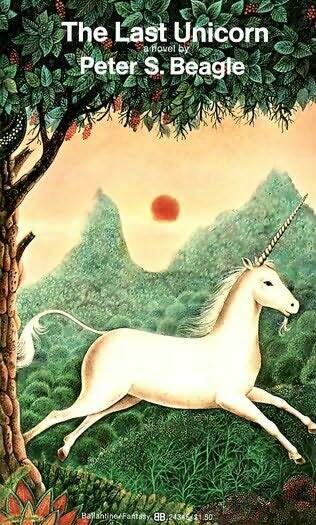 The last unicorn goes off to find out what has happened to all of her kin. The adventures that happen on the way are interesting, and we meet some fun characters. The thing about the story is that it really reads like a first draft. There are many places throughout the story that would have been great for foreshadowing to help tie the book together, but instead these plot points are dropped ‘kerplop’ into the story. There are a couple other things that drag – for instance the butterfly who talks to the unicorn towards the beginning, and then completely disappears from the story, as well as the unicorn’s ability to speak with and get information from animals. With about two more drafts, Beagle really could have had a masterpiece; instead, we have mediocre writing of a great story. As an additional aside, this is one of those times when the screenplay could have fixed a lot of the mistakes in a book; instead, they follow the book almost exactly, making all the same mistakes that the original novel did. I give the Last Unicorn a C.
As I was moving to the next in the Star Wars novels, I was pleasantly surprised by I, Jedi. I, Jedi actually makes the the Jedi Academy trilogy much better! I, Jedi follows Corran Horn of Rogue Squardon to his Jedi roots, his Correllian roots, and his lawman roots, and then combines them nicely into a decent story. The first third to half of the book takes place at the exact same time as events of the Jedi Academy books. One of the main issues that I had with the Jedi Academy trilogy was the rather neat way that a group of Jedi novices were able to defeat a disembodied Sith lord. With Corran’s part of the story combined with what was happening, it made a lot more sense with him distracting the Sith lord while others were fighting him elsewhere. I don’t think I, Jedi was really designed to be a standalone book. 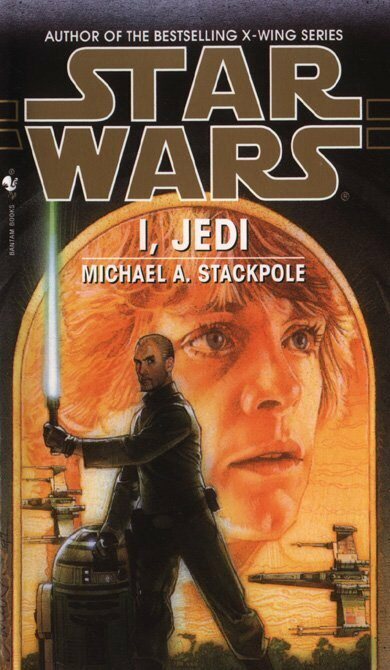 It wouldn’t surprise me if Stackpole had been asked to help fill in the gaps of the trilogy, as well as add some more to the Jedi mythology. He did a good job at it. I give I, Jedi a B+. I do enjoy a good murder mystery, and this one was one. This is the second in her series of Hercule Poirot mysteries. Admittedly, the novel does start with an amazing coincidence – the narrator Captain Hastings meeting one of the main characters on a train and her showing up again later – but it is a good novel. 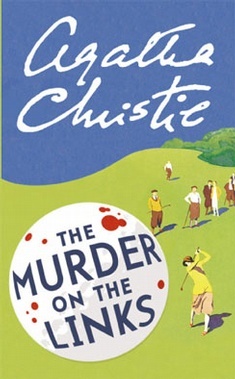 One of the things I really like about Agatha Christie’s books are that she gives you all the clues, and if you are really good, you can figure it out before Hercule Poirot reveals it all at the end. I thought I had it, and then got caught by the final twist. I do enjoy a good twist. There is a love story that gets mixed into it, and the narrator Hastings is distracted by it. Overall, I give The Murder on the Links an A-. I’ve been a fan of Neil Gaiman for a long time, and I find it odd that in all that time I have not read Coraline. It is one of his best known books. 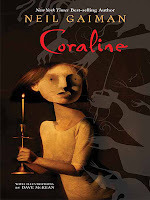 Coraline is an entertaining read focusing on a young girl who is trapped in a family that does not focus on her at all. She is an inconvenience. The family moves, and she finds herself in a house with odd neighbors, and then also a door that leads to a strange parallel world where her ‘mother’ and ‘father’ pay a lot of attention to her. The whole effect is a little on the creepy side, which is to be expected from Gaiman. There is action, adventure, near misses, and I for one don’t look at mysterious locked doors in the same way anymore. She certainly did not end up in Narnia. Overall, it is a well-written book which I cheerfully give an A. Book three of the second quintology of David Eddings continues the saga quite effectively. We get to see a friendship develop between Garion and his counterpart on the continent of Mallorea, Zakath. They don’t necessarily have a the smoothest of relationships, but the friendship grows nicely. We also get to dig deeper into the lives of one of Belgarath’s sorcerer brothers Beldin. The characters continue to grow and change, and the plot is pretty solid. The weakest chapter, however, is the final in the book in which there is another non-conclusive encounter with the ‘big bad’ for the series. It didn’t seem necessary, and really didn’t add anything to the overall story. 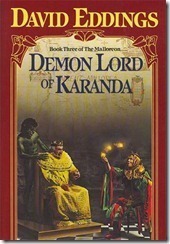 I give the Demon Lord of Karanda a B. 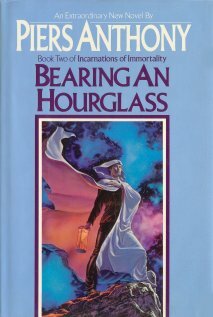 In the second book of the Immortality books by Piers Anthony, he takes a look at the incarnation of Time. The first section of the book is about Norton, a normal man, meeting and falling in love with a ghost’s wife – at the insistence of the ghost. He loses both her and the baby they created, and then eventually becomes Chronos, the Incarnation of time. As opposed to Death, who kills the previous incarnation, Chronos can choose his own replacement. Chronos lives backwards. It makes interpersonal interactions a bit more difficult, and it is fun to read how mistakes and misunderstandings happen due to the living backwards. Satan, the incarnation of evil, of course, causes all sorts of trouble, and takes Norton on a variety of different adventures. I am definitely in a different place in my life now than the last time I read the book. I had trouble going back a reading about the death of his lover and her baby. I was a bit surprised at my own emotional reaction. The parts of the story where Norton is figuring out his role as Chronos are fun, but I found Satan’s illusions of space opera and high fantasy a little long and formulaic. I enjoyed the book, but it wasn’t as good as ‘On a Pale Horse.’ I give Bearing an Hourglass a B.